We have a range of training resources for people working in schools, to help you learn how to best support pupils with epilepsy. 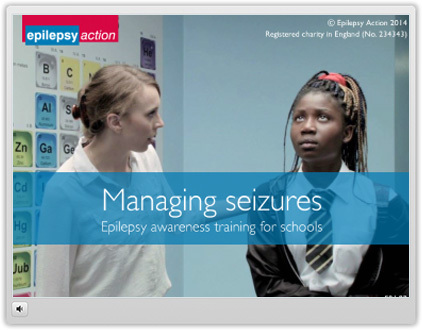 Watch our short films showing what you need to do if a pupil has a seizure in schools. They cover focal, tonic-clonic, absence, myoclonic, tonic, and atonic seizures. Log in or register for free to get access. Take this course to find out more about statutory guidance, individual healthcare plans, learning and behaviour, and pupil safety. 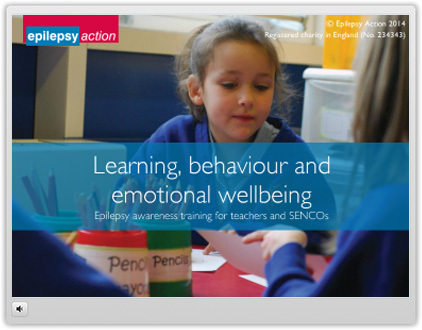 Use our downloadable toolkit (below) to help you support pupils with epilepsy. Complete our online course to find out how to use the resources. The Health Conditions in Schools Alliance has a sample medical conditions policy (pdf) that can be adapted and used by schools. Parent of a child with epilepsy? Are you the parent or carer of a child with epilepsy? Download our letter for schools (.pdf) and take it into the classroom to let the teacher know about our free training. 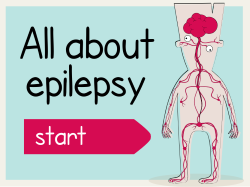 We also have classroom resources that you can use to teach your pupils about epilepsy. You can use them on interactive whiteboards, desktop computers or tablets.